The magic of a Red Skelton performance is brought back to life with this hilarious and moving tribute show, The Legend Continues. 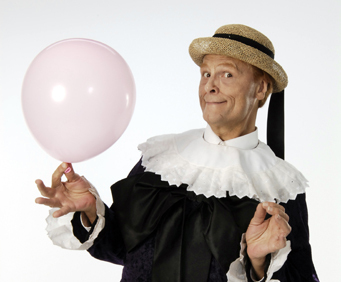 Tom Mullica, Red's close friend for 18 years, recreates some of the most memorable Skelton characters such as Clem Kadiddlehopper, the Mean Whittle Kid, Freddy the Freeloader, and more. You'll be astounded at how well the reproduction of Red's comedy is carried over in this show, and you'll have a great time while watching it! Tom is a veteran entertainer, and when he was given permission by Red himself, to use any of his material, he sharpened his act and began performing for audiences around the world (North America, Europe, Japan). 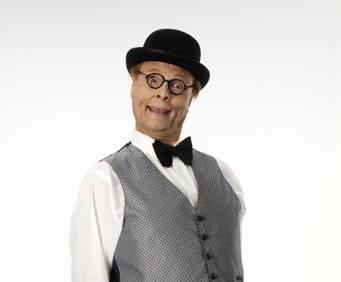 He has been perfecting his impersonation for more than a decade which accounts for such a spot-on likeness. At one point in the show, Tom pays homage to Skelton's 'Pledge of Allegiance' routine. This patriotic moment has proved to be a crowd-pleaser as it touches the hearts of the audience. For those of us who were able to see Red's amazing skits, this is a chance to take a trip down memory lane. For those that were not, it's a chance to grow a new fondness for a timeless character. Tom mullica does a wonderful job impersonating red skeleton. His show was thoroughly enjoyable. Whenever i return to branson, i will go see the show again. Thanks tom, for bringing back the great memories of red. Mr. Mullica's performance was very authentic. That's from someone who has 4 paintings by red skelton in his home! 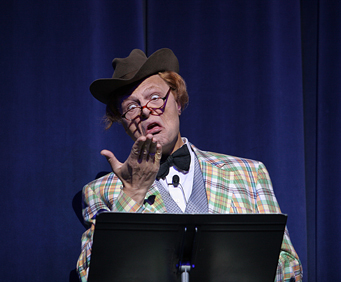 My husband and i have always loved red skelton, and tom mullica did an outstanding job in his impersonations. Would really have liked to see more characters, but the ones he did were great!